Please check out my post on ADVANCE about YouTube, an amazing therapy resource. 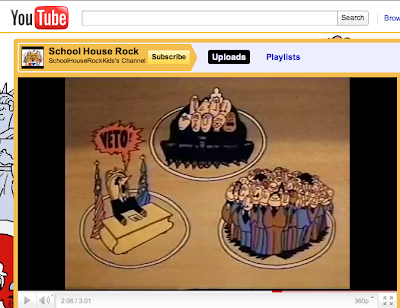 The post contains strategies for minimizing student distraction when using a YouTube video, and also how you can still avail yourself of the site if your district blocks YouTube. Gingerbread! It's a reasonably non-sectarian topic for speech and language therapy around the holidays. Click on over to the Mindwing blog for links to discuss characters and create them as gingerbread men, and also a 3D Gingerbread House activity (with screencast). Disclosure: author is a paid contractor for Mindwing Concepts Inc, but in no other instances is compensated for product/website/app reviews. I use YouTube videos alot in my therapy sessions, which I presented at this year's ASHA convention (session was titled The Video-Verbal Link). I use Free Studio, which can be found at www.dvdvideosoft.com, which will let you download the YouTube videos right onto your hard drive, again circumventing any firewall set up by the school IT department. In case you're interested, you can access my powerpoint, journal references, and video links at https://sites.google.com/site/thevideoverballink/. Great suggestion and fabulous links, thanks so much for sharing!! 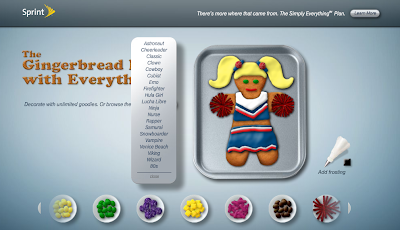 I just did a gingerbread activity with my K - 1st graders using the iPad. We first read the "Gingerbread Man," a version in which they go into a bit more detail about how to make cookies. Then we used the app to make our own gingerbread man. The app conveniently has gingerbread dough as an option. My district uses Thinking Maps, so we re-told how to make the cookies by filling out a sequencing map. All without risking allergic reactions by bringing in real cookies! Oops...forgot to mention the app's name... it was the Cookie Doodle app that I think you featured before.